Lake Reba. Reba Rd, Irvine Rd, Old Irvine Rd, and Catalpa Loop. Some property owned by Lother Bowles, Walter Evans, John Halcomb, B. Cornelison, Kie Doty, and Garnett & Glenn Million. 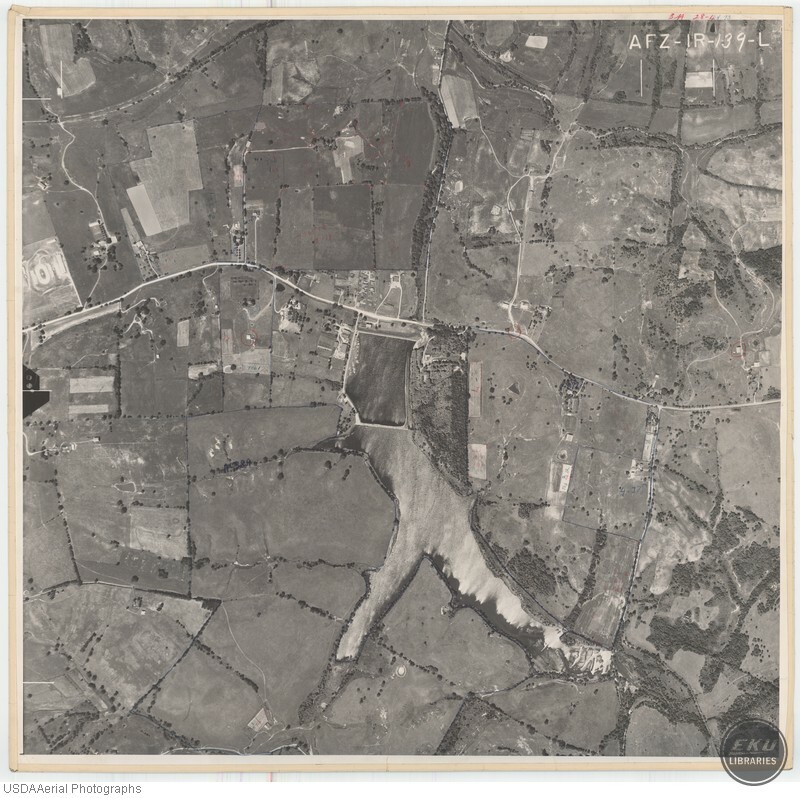 USDA, “East Madison County, City of Richmond,” Digital Collections, accessed April 21, 2019, https://digitalcollections.eku.edu/items/show/815.